Good dental hygiene helps with that perfect smile. The key to that smile is through the basics, such as flossing, brushing, and rinsing. Also, a good diet will help make sure that your teeth stay free of cavities. Good dental hygiene usually means commitment, while partnering with your dentist to get your teeth cleaned and checked regularly. Brushing is the first step to perfect dental hygiene. Most dentists and oral hygiene professionals recommend using a soft-bristled brush. Use a pea-sized amount of toothpaste when brushing and move the brush in small circles that reach the base of the gums. You should brush for about 2-1/2 minutes when brushing. Brushing twice a day will help reduce the likelihood of cavities. Some dentists also recommend a battery-powered brush, which works much like the brush dentists use in the office. Flossing is important because it lets you reach into those places where your brush can’t go. Most dentists recommend using a waxed floss. When flossing, tear off a small piece of floss that is approximately 3-4 inches. Floss between teach tooth and pull the floss down to the gum. Flossing gently lets you remove small pieces of food that may become lodged between your teeth. Rinsing is one of the most important daily hygiene practices. You should use about one ounce of rinsing solution twice per day to help kill the bacteria that can cause cavities. Most rinsing solutions have a fluoride ingredient that also help strengthen the enamel of your teeth. There are rinsing solutions out there that don’t have alcohol, reducing the burning sensation that comes with rinsing. A good diet can also help with dental health. Fruits and vegetables are part of a healthy diet. Apples and carrots have enzymes that can help with tooth whiteness. Also, dairy foods contain calcium and can help strengthen your teeth. Avoiding soda and other “sweet” drinks will go a long way towards reducing cavities. Avoiding soda is important because of the phosphoric acid found in these beverages. Phosphoric acid can eat away at your tooth enamel and promote cavities. When dieting, consider the foods that may stick to your teeth or get stuck between them. Certain meats may become stuck between your teeth after a meal, while certain foods can stick to the front of your teeth. Make sure that you are going to your regular dental checkups and cleanings. Most dentists recommend a cleaning once every six months. During your cleanings, your dental hygienist will do a quick brushing that polishes your teeth. Your dentist will remove plaque and tartar from your teeth that have built up since your last visit. Also, research each dental treatment if you need to have a cavity filled and follow your dentist’s advice for the procedure. While a certain type of filing may prove more affordable, your dentist may make a recommendation for another type of procedure, which will make sure that your teeth last. • To maintain good oral health, maintaining your healthy smile. 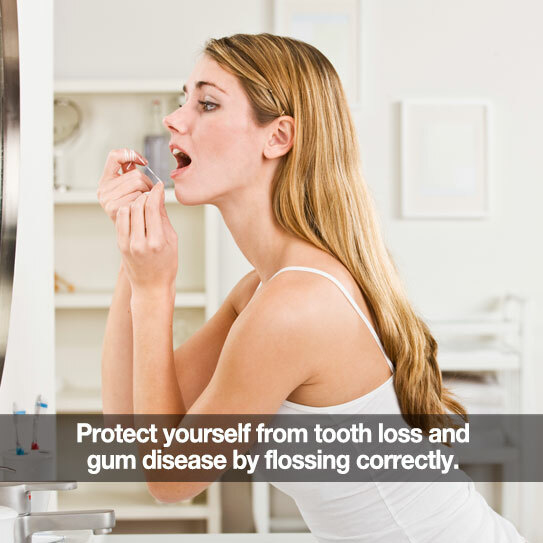 • To prevent gum disease, which can lead to other dental problems. • To fix dental problems early and possibly prevent them. • To prevent bad breath, which is also known as halitosis. You only get one set of adult teeth to last your entire life. Taking care of your teeth daily will help make your smile last longer. Of course, so will regular dental visits! Call us today to make an appointment, or click here to request an appointment online. Consider Giving Your Smile a Makeover! FROM TIME TO TIME, we all like to give ourselves a makeover. Whether that is with a new haircut or a new wardrobe, there are plenty of makeover options out there for all of us. 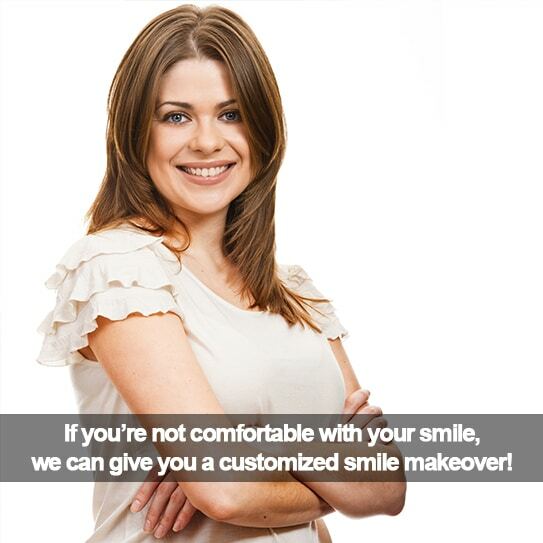 Doesn’t your smile deserve the makeover treatment as well? Many of our patients come to us with stories about how they’re unhappy with their smiles. Some people find that their teeth are too crooked or that their teeth are discolored. There are a wide variety of cosmetic imperfections out there that are patients come to us with. A cosmetic imperfection might hold someone back from sharing their beautiful smile with the world because of self-consciousness. We at Dental Partners of Boston believe that a smile makeover can help a patient become comfortable with their smile again. The smile makeover process is customized for each of our patients and it is geared to your specific needs. We want to help you achieve a healthy smile that you’re comfortable with. Here is the four step makeover process we have available to our patients! The first step to a smile makeover is ensuring that all teeth discoloration is removed and that your teeth are restored to their natural white sheen. Through our BriteSmile and Zoom! teeth whitening services, we will be able to provide an in-office or at-home solution to patients seeking out teeth whitening. Our trained team has experience in measuring out the exact dosage of whitening material to ensure that your smile is natural looking. Porcelain dental veneers is a great way to conceal any misaligned, stained, injured, or chipped teeth. These dental veneers are customized for your mouth and will slide right over your normal teeth. This will ultimately provide a long lasting, easy, and natural looking cosmetic solution for patients with damaged teeth. Orthodontics aren’t just for kids and teenagers; they’re for adults too! Teeth that are too crowded or a bad bite can result in embarrassment when you smile. As such, we offer adult orthodontic treatments like Invisalign to help straighten out your teeth. Invisalign is a system of convenient, transparent aligners that perform the same function as braces; except without all the metal bands and wires! A dental restoration is a more extreme smile makeover option that is used for patients who’re missing their teeth. The goal of a dental restoration is to restore the chewing, conversing, and smiling function of your smile again. This can be achieved through dental implants or other restoration options. At Dental Partners of Boston, we believe that nothing should hold you back from sharing your smile with the world. Through our smile makeover process, we will ensure that you are happy with your healthy smile and that you’re sharing your pearly whites again with the rest of the world. Your smile says a lot about you; shouldn’t you start smiling again and showing off the real you? If you have any questions about smile makeovers, please reach out and contact s with them! Comment below to show your own smile makeover experiences with others. You are important to us; we really value you! We would like to thank you for being great patients and friends. Please call us today for a smile makeover consultation! WITH ALL THE ADVANCES of modern dentistry, it’s surprising that an ancient technology like metal fillings is still so commonly used today! Traditional metal amalgam fillings require drilling a retentive fitting to hold them in place, removing healthy parts of the tooth and making them more likely to fracture. White fillings bond directly with the tooth, eliminating the need for unnecessary drilling. We take our commitment to minimize discomfort during procedures very seriously, and white fillings help us accomplish that goal. Our simple process of applying, sculpting, and curing the filling is virtually pain free and reduces downtime. Metal fillings are strong, but stiff, and make teeth more susceptible to cracking. White fillings are strong and slightly flexible, able to absorb and transfer bite force as a normal tooth would. Until recently, having a cavity filled meant a very noticeable and unattractive bit of metal in your mouth. Now, we can match the color of white fillings to provide a natural look that blends better with your teeth. White fillings support and strengthen the tooth’s structure, and also form a protective seal around the cavity to prevent bacteria from causing further decay. We invite you to sit down with us and find out how white fillings can play a key part in your smile restoration! At Dental Partners of Boston, we want to show you how the latest in dental technology can benefit your life. Our mission is to give every one of our patients the bright, confident smile they’ve always wanted. WE ALL KNOW THAT SUGARY SNACKS can be bad for your waistline and smile. But there are healthy snacks, too, that you might not even know are hurting your teeth! Here are a few tips from our team here at Dental Partners of Boston to keep in mind the next time you reach for a snack. Soft foods are more likely to cause dental problems because they get stuck on and in between your teeth. Something like a banana, which seems like a healthy choice, may be bad because it’s more likely to stick and coat your teeth. Drinks likes juice and soda can increase the risk of cavities. Sugary drinks coat your teeth in sugar, fueling the bacteria that causes cavities. These drinks can also increase the acidity of your mouth, wearing down your enamel. When we say things that stick to things to your teeth, we mean the obvious foods like caramel, but also the less obvious things like pretzels, Oreos and crackers. When we snack on crackers they tend to stick in the grooves and crevices on the surfaces of our teeth. This food can mess with the acidity levels in our mouths and provide food for oral bacteria. 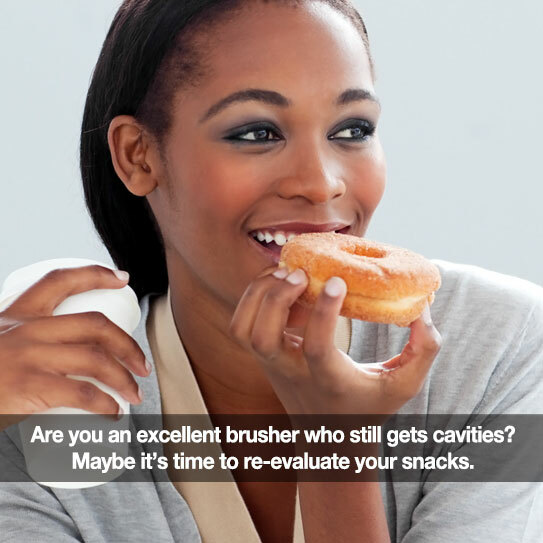 Many patients have excellent nightly dental care, but still have problems with cavities because of snacking habits! Snack wiser by putting these tips into action! First of all, always wash down your snack or sugary drink with a glass of water. This will help clean out your mouth and produce saliva. Secondly, pick snacks that have lots of scrubby fiber, like apples, carrots or celery. These foods tend to be crunchy and actually clean your teeth as you eat them. Finally, if you know you are going to be snacking on something sugary, floss and brush your teeth afterwards to get rid of any remaining food particles. If you have any questions about snacking, feel free to contact us and ask about foods that are healthy for your teeth. What’s YOUR favorite healthy snack? Comment below and share them with us! Thanks for being great patients. DID YOU KNOW THAT TEETH are the only part of our body that doesn’t repair itself? Skin, muscle, and even bone can heal, but a hole in your tooth won’t be repaired simply with time. That’s where prosthodontics comes in. Prosthodontics are simply dental prosthetics: artificial insets that take the place of missing, stained, or damaged teeth. 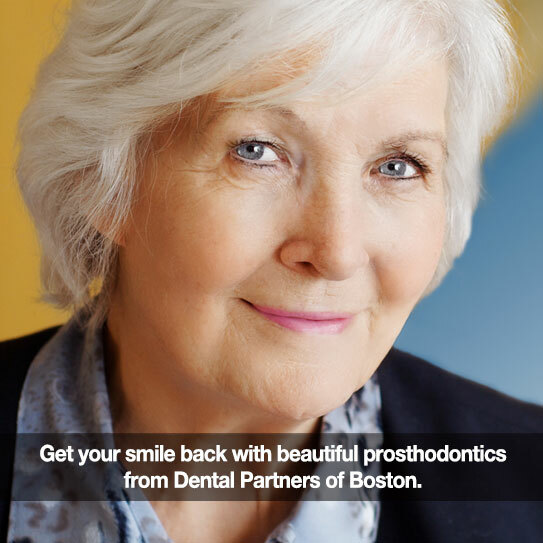 Here at Dental Partners of Boston, we offer many different prosthodontic procedures. Prosthodontics focuses on maintaining and rehabilitating the health, comfort, appearance and function of our patients’ teeth. In order to achieve the very best results in aesthetics and function, our prosthodontists are trained to construct customized options that will perfectly blend with your natural teeth. It’s an art as much as a science. In order to give our patients the best care possible we offer many different types of prosthodontics. This includes anything from cosmetic fixes like dental veneers to functional restorative dentistry where we may use dental bridges, inlays or onlays. You may find yourself needing only a small fix that can be achieved with a dental crown, or it may be time for complete mouth reconstruction, or a smile makeover. Whatever you need, we can help! How Do I Know If Prosthodontics Are Right For Me? We see many patients who believe that they are simply doomed to hide their teeth–and their pain–for the rest of their life. But whatever your dental problem, we have a solution! Prosthodontics can drastically increase your quality of life and confidence. Contact us today if you think prosthodontics might help repair your smile. We would love to help you get the smile you deserve! Is It Really Necessary To Floss? HERE AT DENTAL PARTNERS, we strive to empower our patients to have the best at-home care possible, as well as excellent regular professional cleanings. One very important part of that at-home oral hygiene is caring for your gums. Gum disease (also known as gingivitis) occurs as a result of poor oral care. Tissues supporting and surrounding the teeth become inflamed and gums become red and swollen, often bleeding when brushed or flossed. One of the greatest ways to prevent gingivitis is by flossing, as well as brushing and rinsing. Flossing aids good breath, clean teeth, and healthy gums! Flossing is key to preventing gum disease because floss can get those hard-to-reach places that a toothbrush or fast rinsing can’t. There is a specific way to floss, though! Don’t saw the floss back and forth. This can potentially create grooves and abrade the teeth and/or saw off the crown. Always introduce the floss at the top of the tooth, and gently slide it in towards the gum line, and even under the gum line to hug the base of the tooth. Before going to the next tooth, find an unused part of the floss to use. You don’t want to pass that bacteria all over the mouth! Although you are responsible for caring for your teeth and gums at home, we are here to help you in your periodontal care. This involves maintaining the health of your gums and the bones in your mouth. We do this to eliminate infections, protect the roots of the teeth, and keep your whole body healthy. We at Dental Partners of Boston can help you reverse and manage periodontal disease. Call us and make an appointment. MANY ADULTS WEAR night guards to help keep them from grinding their teeth at night Keeping your night guard in good shape makes it last longer and keeps your mouth healthy. If you have a specially fitted night guard from Dental Partners of Boston, follow these tips to keep it in good shape. 1- Rinse your mouth guard with cool water after every use. It is important to use cold water because hot water may change the shape of the mouth guard. 2- Wash your night guard in mouthwash. Submerging your night guard in mouthwash will help kill the germs left on your mouthguard. After you have submerged it in mouthwash rinse it with cool water. Do NOT soak your night guard in mouthwash, as that may cause damage. 3- If you have a plastic mouth guard, you can brush your guard using a soft bristle toothbrush and toothpaste. Gently brush your mouthguard and then rinse with cool water. 4- Store your night guard in a protective case. Usually guards come with their own protective cases for easy storage. Keeping it in the container will ensure your night guard remains clean and undamaged. If your night guard didn’t come with a case, you can find one at your local pharmacy. An old retainer case also works well for storage. About one in five adults clenches or grinds their teeth at night, often without even knowing. While this may seem harmless, it can cause major damage to teeth and dental work down the road. It can also cause major stress and pain to the head and jaw. A night guard can protect you from these problems. If you think you grind your teeth, please talk to us about being fitted for a comfortable, effective night guard from Dental Partners of Boston. 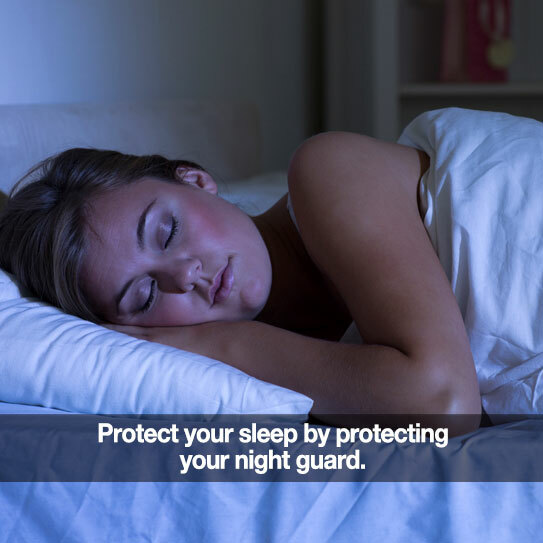 We hope you these tips will help keep your night guard in excellent condition. If you have questions regarding night guards please contact us. Thank you for being such great patients and friends! YOUR REGULARLY-SCHEDULED cleaning and checkup may not always be the highlight of your month. But our team at Dental Partners of Boston wants to remind you that it’s essential for your oral health. Often, we’re tempted to avoid dental care because our mouth feels just fine. 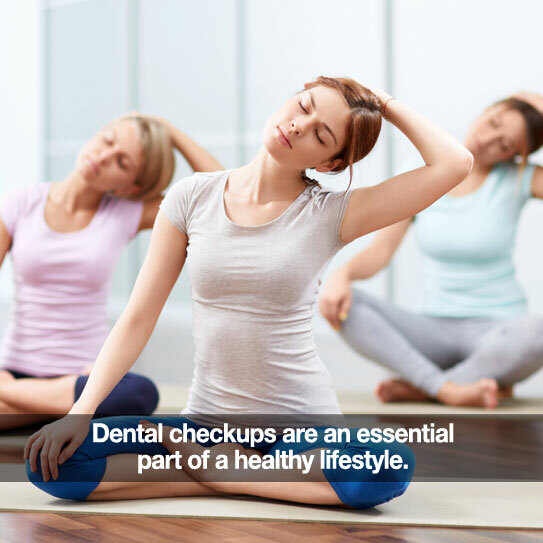 But preventative dental care is an essential part of a healthy lifestyle. Not only can we catch things that you might not be aware of, but we also prevent problems from progressing to a dangerous and expensive stage. Gum disease starts with built-up plaque and untreated, it can lead to tooth loss. Regular dental checkups will monitor plaque buildup and deep clean your teeth. Regular cleanings allow your hygienist and dentist to keep an eye on spots that are more prone to cavities. 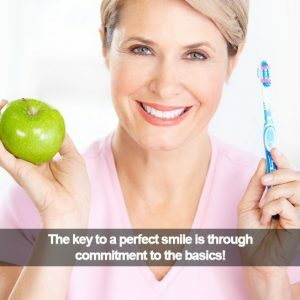 Cleanings will also give you the opportunity to ask any questions about your daily oral hygiene habits, so that we can help you have a more mouth-healthy lifestyle. Even if you brush and floss regularly, a cleaning keeps your breath smelling fresh. We also check for problems that could be causing chronic bad breath. Tea, coffee and wine, among other things, can stain your teeth. Getting cleanings every six months can remove stains and buildup, brightening your smile naturally. Regular dental cleanings are important for your overall health, too. Regular dental cleanings can lower the risk of problems like stroke and heart disease. Dental exams also frequently find evidence of other harmful diseases. Schedule Your Checkup With Us Today! Dental cleanings might sometimes feel like a hassle; one more thing in a busy day. But we believe that you should be comfortable and confident in the dental office. In fact, taking some time to relax in the dental chair might be the opportunity to put your feet up that you’ve been waiting for all week. Call and schedule your cleaning today! We would love to help keep your smile bright and healthy! BAD BREATH IN THE MORNING may happen to all of us, but it can still be embarrassing. Bad breath, or halitosis, probably isn’t how you want you start your day. We here at Dental Partners of Boston have a few tips to help with morning breath and keep your breath fresh! The primary cause for bad breath is dry mouth. If you sleep with your mouth open or take certain medications, it can cause your mouth to dry out severely over night. When your mouth is dry, the bacteria that makes our breath smell grow faster. You can help dry mouth with a really simply habit: drink lots of water throughout the day. Water increases saliva production, which counteracts bacteria production. If you suffer from bad morning breath, have no fear! There are simple solutions to tame your breath. The best way is to follow a good nightly oral hygiene routine. Brushing and flossing each night will help you have better breath in the mornings. Brushing and flossing cleans your teeth and rids your mouth of bacteria. You might also try using mouthwash. Rinsing with a mouthwash not only gives you a blast of fresh breath, it also further kills germs that will make your breath smell during the night. Morning breath is a part of life. However, severe and chronic bad breath could be a symptom of a larger underlying problem. If you are experiencing dry mouth or severe bad breath, contact us today. We will work with you to find the best treatment possible. FEVER BLISTERS, OR COLD SORES are small groupings of blisters that occur around the mouth. These might heal in a few days or in a few weeks. Here at Dental Partners of Boston, we know how frustrating cold sores can be. So here are a few tips for avoiding them. Certain medications can make cold sores go away faster, but the best way to be rid of them is to prevent them in the first place. Not everyone’s cold sore triggers are the same. That why it’s important to review a bit when you get a cold sore, and see if you can troubleshoot. Here are some ideas for you to consider. Stress can mess with our bodies in many ways, including wearing down our immune systems. If our immune system is low, it is easier to develop cold sores. You can counteract this by having healthy stress-coping techniques. Build up your immunity by eating well and exercising. And give yourself time to relax and decompress after a stressful day or week. Just like stress, being tired can drain your immune system. Having low defenses can lead to a dormant cold sore becoming active. Getting enough sleep can keep the cold sores away and boost your immune system. Dry lips can be caused by a number of factors, including the sun and cold weather. Protecting your lips from the weather can keep cold sores from developing. Whether it is wearing a scarf when it is cold or applying lip balm with sunscreen in it, protecting your lips will help prevent cold sores. The next time you get a cold sore, pay attention to things that may have been a trigger, whether it is your health or the weather outside. Being aware of your triggers can help you avoid future cold sore outbreaks. If you have any questions, contact us! As your lifelong oral health partner, we care about your whole body’s health. Thank you for being our valued patients and friends. We appreciate you!